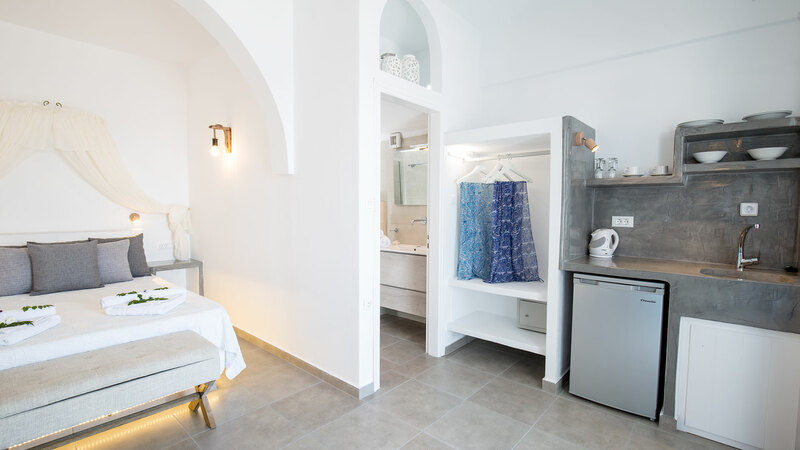 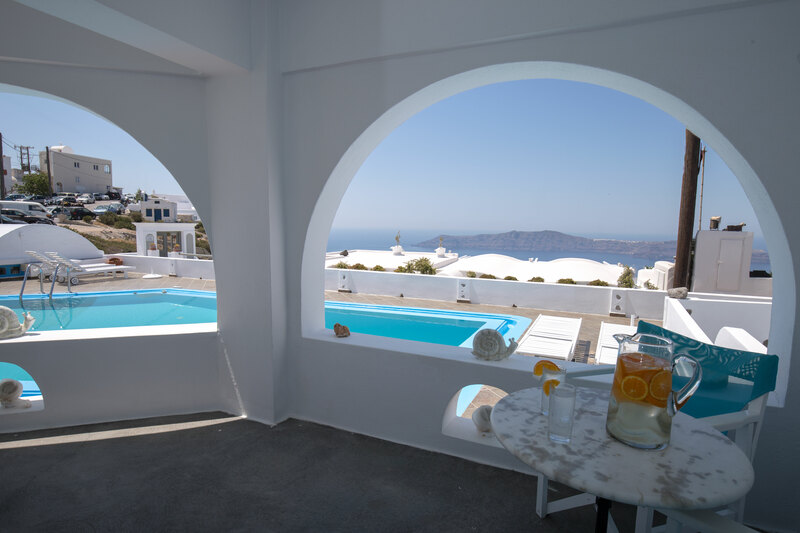 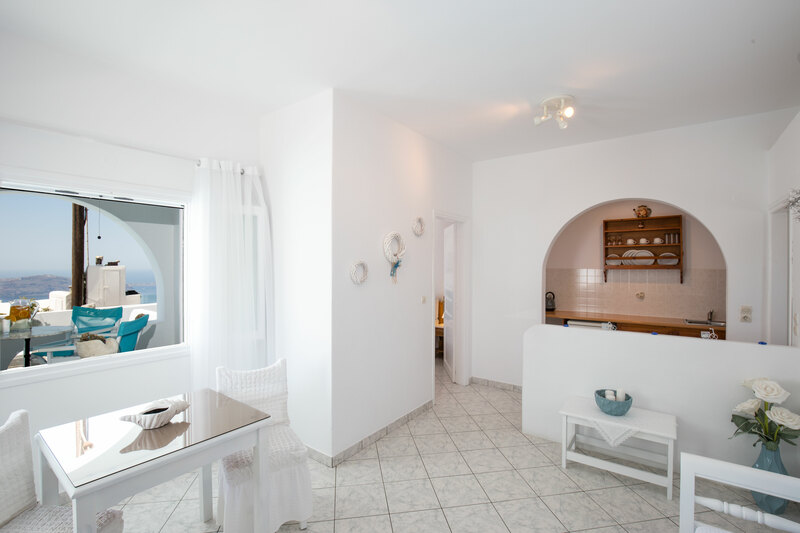 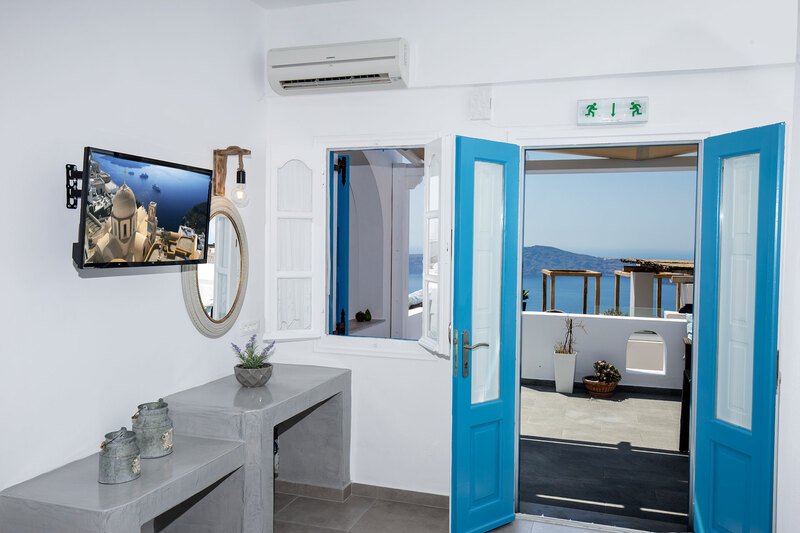 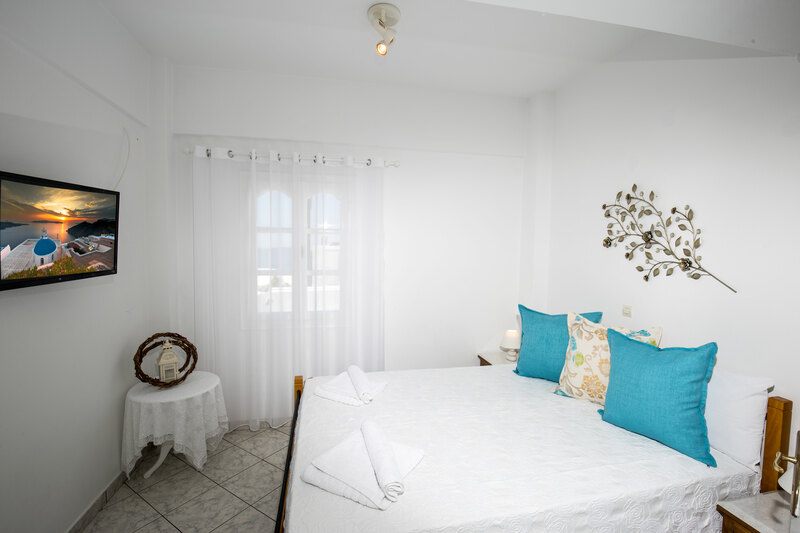 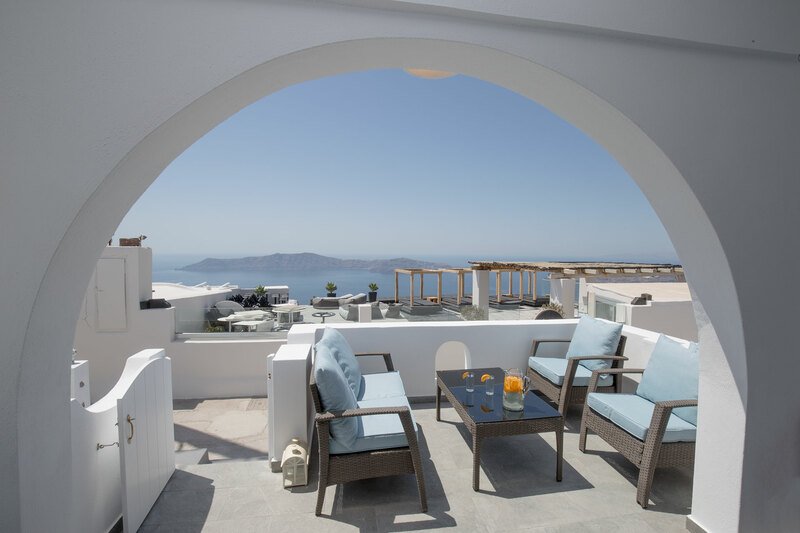 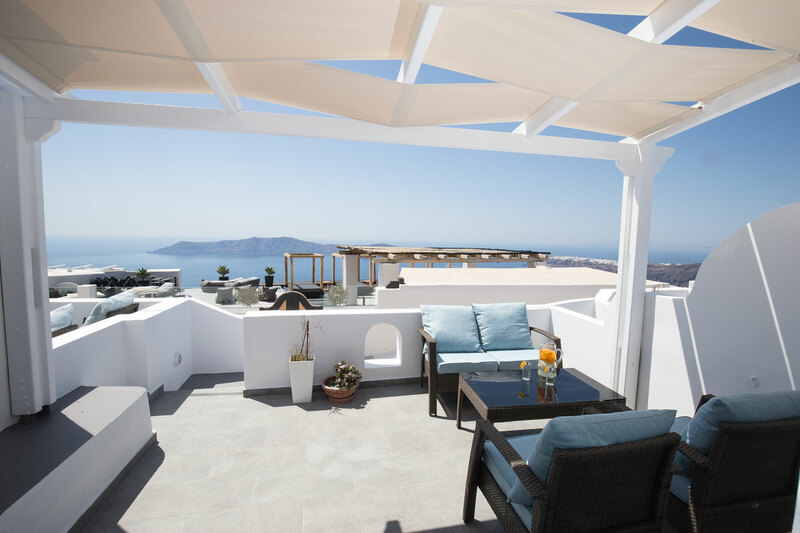 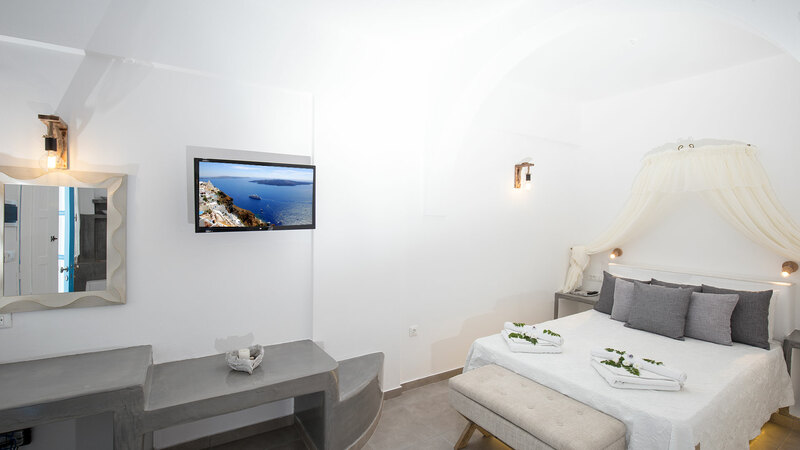 Refreshingly minimal, yet still luxurious with stunning views of Thirassia Island, these Studios are the perfect base from which to explore the beautiful island of Santorini. 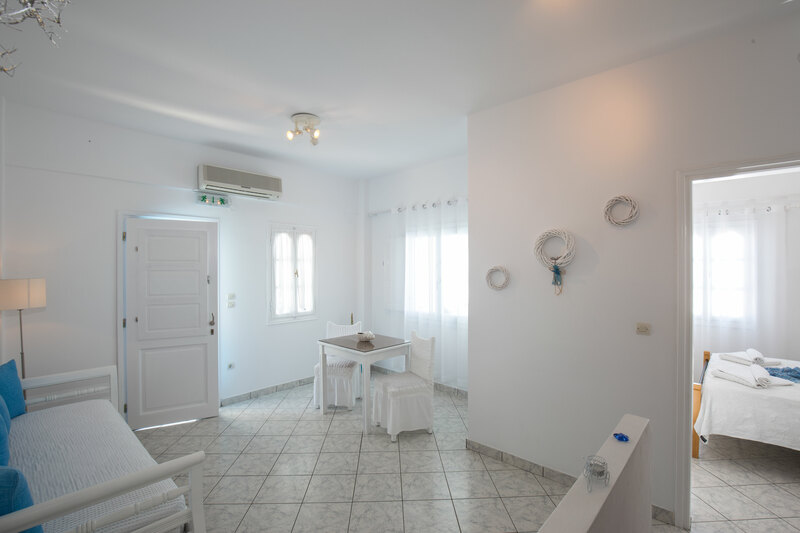 Inside, the studios are peppered with beautiful furniture in hues of white and blue. 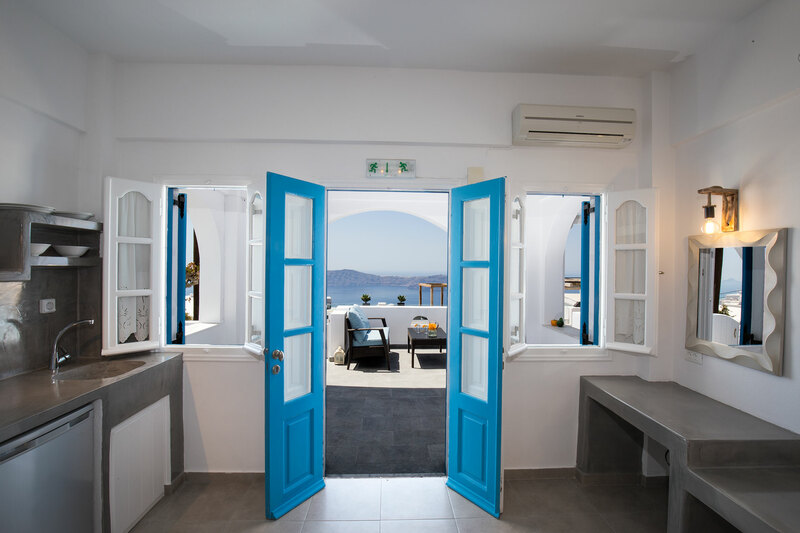 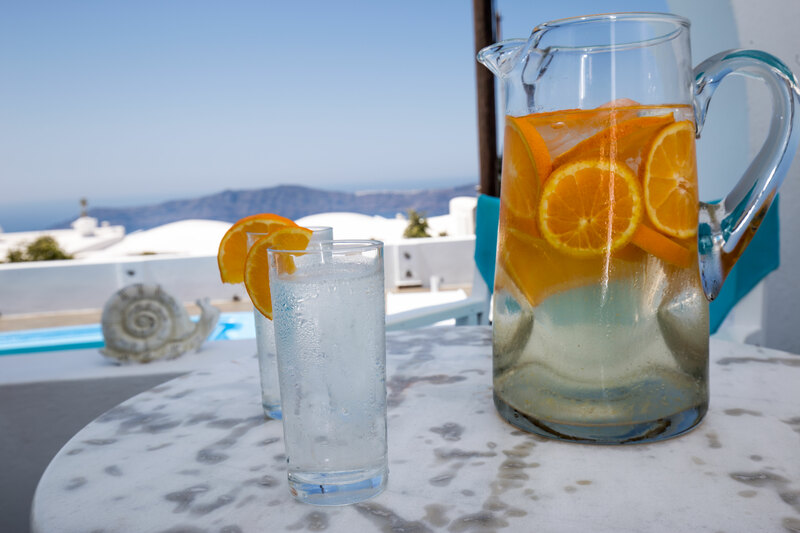 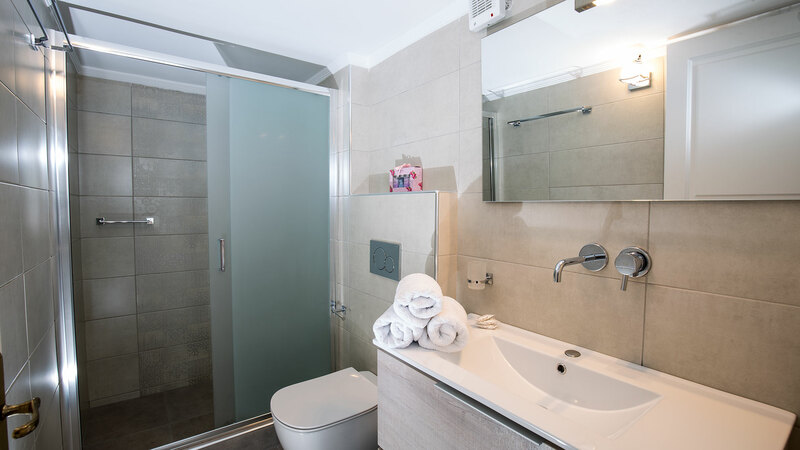 Bright and spacious enough to easily accommodate 2 persons, the establishments offer all modern amenities needed for an enjoyable stay with complimentary side views of the beautiful Aegean Sea. 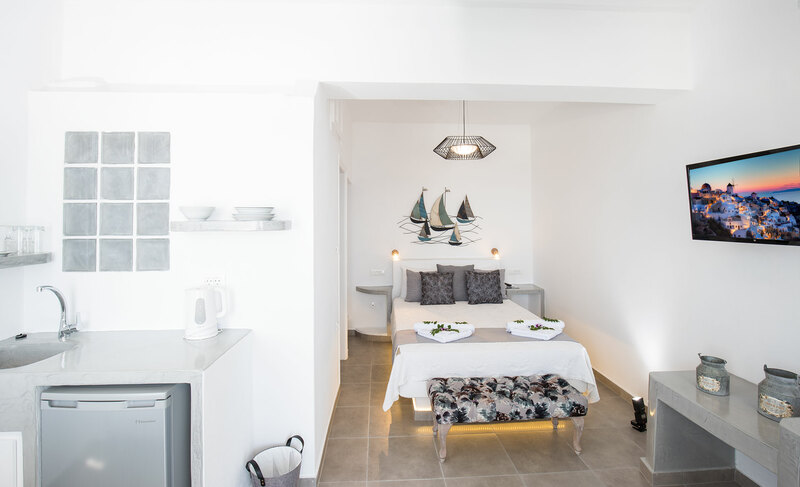 Their interiors are injected with an underlying mood of simplicity and modernity, aiming to highlight the surrounding beauty with their minimalistic flair. 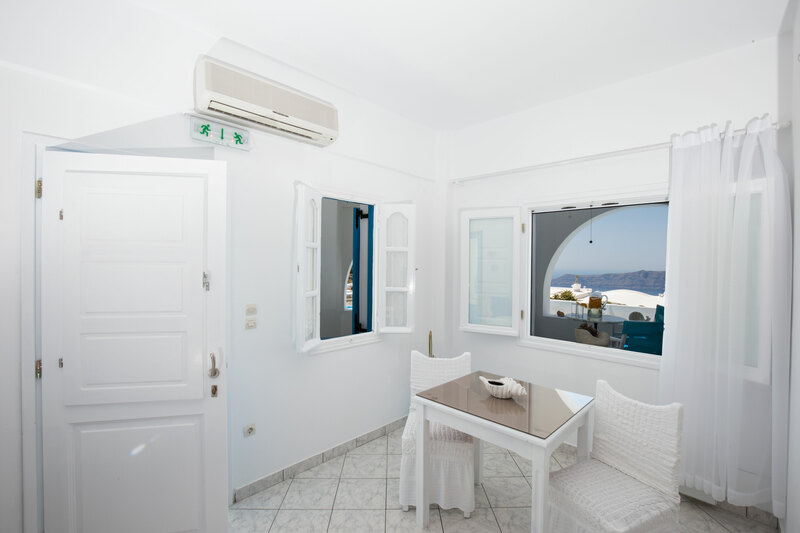 They include a double bed, bathroom, air conditioning, refrigerator, satellite TV, hairdryer (on request) and balcony or terrace. 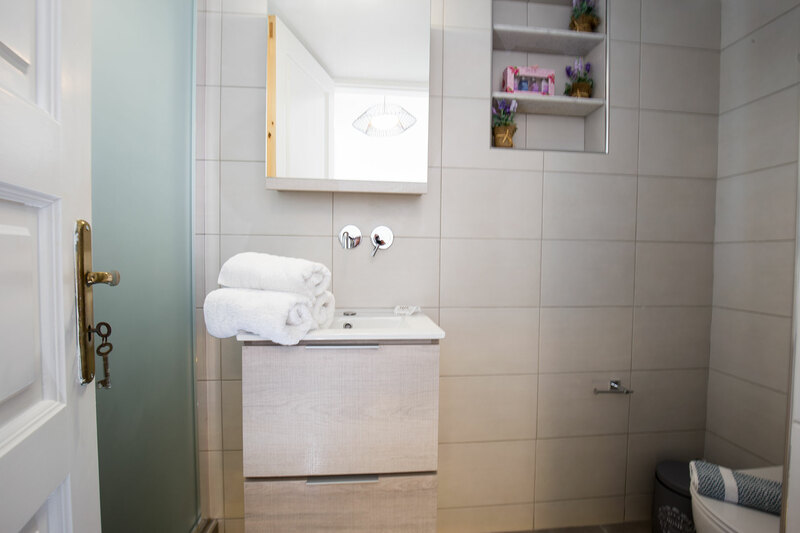 Please note that the kitchenette is only suitable for preparing cold meals or heating beverages.